For the past year I have been jealous of my wife and daughter’s monthly grab bag from BirchBox. Sure, this other company has a Men’s subscription, but I am a geek, not a guy that spends more than a couple minutes in front of the mirror a day. Sounds like the creators of LootCrate had the same issue, because for the price of $13.37 a month and 6 dollars shipping, I now see what they did there, you get a geek and gaming monthly grab bag (box) full of surprise loot. 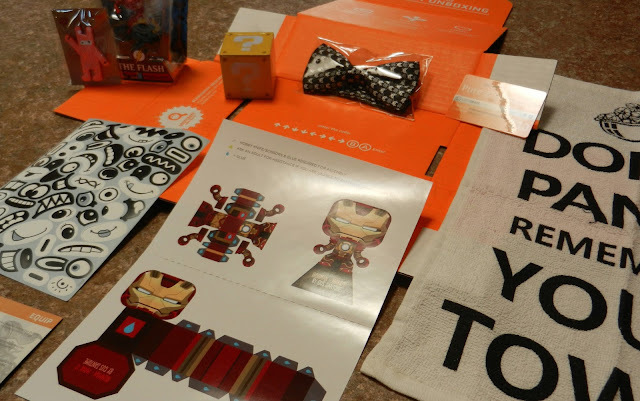 Each month, a total of 6-8 items are picked and placed in each package and subscribers get a chance at receiving the mega crate filled with 250+ dollars of surprise geek/gamer goodies. Mashbuttons is at E3 2013!! !